This project required 5 different mil-spec clevis assemblies with quantities ranging from 8 to 36 parts each. 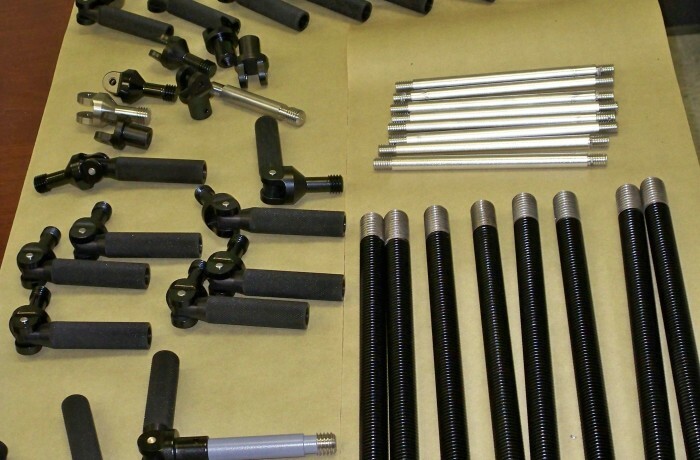 At Machining Services, Inc, we have an excellent reputation for the fabrication of tight tolerance mil-spec parts and assemblies. These clevis assmblies were manufactured using a variety of in-house machinery including: CNC turning centers, CNC milling centers, and knurling tools. Aluminum and stainless steel were machined into the required specs while holding a tolerance of +/- 0.005". Turnaround time for this project was 4 weeks.